Happy 2019 Pitman! Welcome back to reality now it is time to focus. Focus on goals, new year’s resolutions, ideas, work ethic and many other goals you’ve planned for the year. Many enjoy the new year because it makes them hopeful for new beginnings and a whole new perspective on their life. A new year a new beginning. But with new beginnings a new focus you have to be able to maintain your actions in order to achieve your goal. That’s the difficult part about new year’s resolution which has lead many people to not even believe in them. Some people just know they won’t complete the goal and don’t end up making one at all. That’s the problem but here are some tips in order to maintain some goals. Journaling: A journal or diary is a way in order to feed your focus in order to aim yourself towards a goal. You can write every day, every other day or whenever you feel is right. Writing the date in the corner of every journal is important and useful so once you’ve achieved a goal you can go back and see your progress on your thoughts. Planner: Buying a planner can be very helpful and useful in your process when focusing on achieving a goal. A planner can be aspiring maybe a colorful one with a reassuring quote on the front cover, or perhaps one with stickers so you can apply one on every milestone you accomplish. Positivity: In order to achieve a goal you’re going to have to be positive and optimistic on how you’re going to persevere through difficult times and situations in order to achieve what you want. Vision Board: Vision boards are something many youtubers, and people on Pinterest use in order to achieve a goal. A vision board can be big or small, a poster or a bulletin board you can hang on a wall with pictures, words, and illustrations of things that you hope to achieve that can serve as a motive towards your goal. For instance if you want to be able to buy an expensive luxury bag you may want to put a picture of money, or the picture of the bag on your vision board. And you can always add or take things away from your vision board. So what do Pitman students think about feeding their focus and being able to accomplish goals? An anonymous junior told us her feelings and thoughts on 2019 new year’s resolutions and her opinion on staying motivated on achieving goals. Here is the interview! N: What are many new years resolution goals people have? N:What’s your focus for the New year? A:“My focus is to try not to lose myself” she said. N:What way do you think you’ll be able to focus on it? A:“I’ll be able to focus on it by surrounding myself with the right people,” the junior said. N:Many people focus on new goals but they lose focus and don’t accomplish them, why do you think so? A:“People don’t accomplish their goals because they get lazy or unmotivated to keep their promises to themselves” she said briefly. 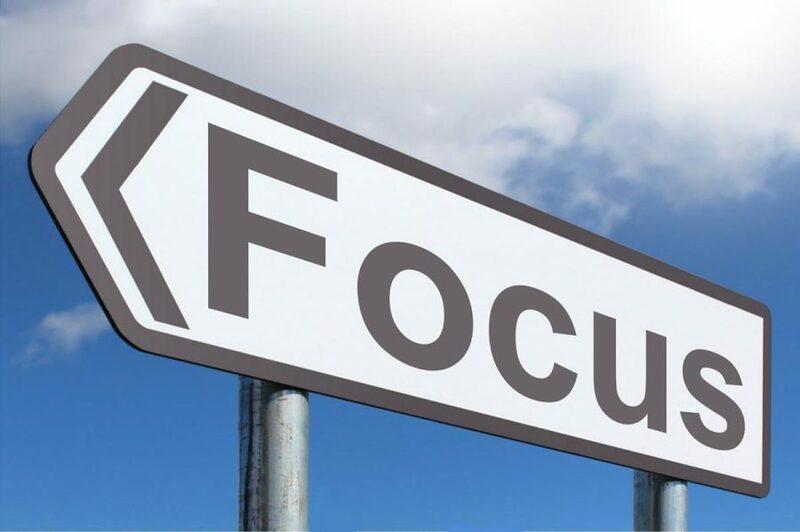 Although starting new goals can be very exciting it can get difficult, but you have to feed your focus. You’ve got to persevere, stay positive and go for what you want. Stay focused Pitman! Feed the focus and hope all your goals get done.